So you've got a great business idea. Undoubtedly, you're very excited about it. Perhaps you've told your friends and family, and hopefully you've started to hammer out the details on how to get your venture off the ground. Your website idea is developed and ready to go live. You may have even started making sales and scouting perspective clients. Or, it's possible that your business is already in full force, you just need that extra "oomph" to build your client base and increase customer conversion and engagement. With all the work you've done up to this point, you're well on your way. However, you're missing something crucial to the growth of your development: App Development. 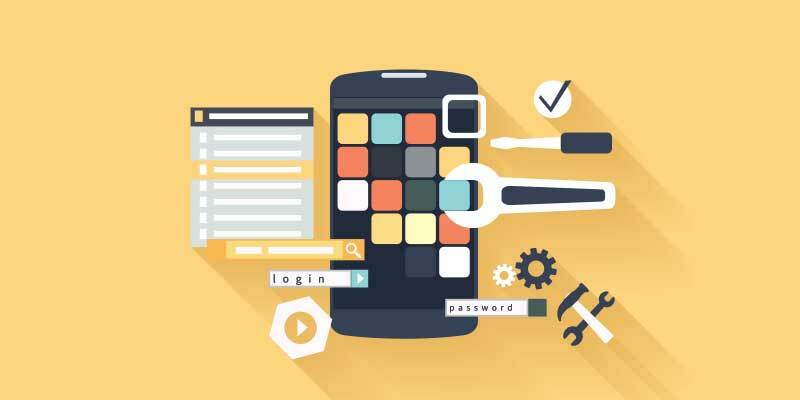 Though it may seem like a longer-term goal, or perhaps even a pipe dream, developing an app for your business will be crucial to your success. Business apps are highly useful tools that can handle everything from sales to scheduling, and increase your revenue as you gain more customers. Almost every adult American uses a smartphone every day - in fact, according to a recent study, the average smartphone user spends 2.3 hours a day consuming digital media. Using an app to push your product or service, or help retain existing customers by creating an easy way for them to engage with your company, can expand your business in incredible ways. Whether your company is global, nationwide, or even local to Cleveland, business app development is an investment that will return a windfall for your numbers. An Akron, Ohio business app development company called Tornado Technologies specializes in Android app development and iOS app development. When you work with an app development team and create this type of great business channel (which you can make available for FREE in the app store! ), you're providing your clients with ease of use, convenience, and the type of "at-your-fingertips" service that most customers have come to expect these days. Let's be honest - how many people, especially people aged under 30, would rather order a pizza on a local business app, for example, rather than pick up the phone? This younger demographic, and even younger generations who will soon be customers, expect this type of convenience made possible through business apps. Tap into that market by automating your services via an app! Building an app with a business app developer can also streamline your process at your headquarters, whether that's a large office in Northeastern Ohio, or your living room in Strongsville. By automating your sales and services, you can spend more time focusing on growth strategies and less time on documentation and paperwork. You may also find that developing a business app can reduce or eliminate your need for full-time staff. Let your app work for you! Bottom line: the world has changing. The era of flyers and phone calls has come to an end. A new strategy is needed - and smart companies, large and small, are using business apps to grow their sales, expand their client base, improve customer retention and engagement, and lower their financial burden. Contact a business app development consultant today, and get the ball rolling! It seems that these days, everybody's got a start-up idea. A business app for your start-up or small company will distinguish you from your competitors and give you the market advantage you need to thrive.